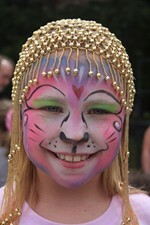 Face painting remains one of Body Art Chicago's original and most popular services. 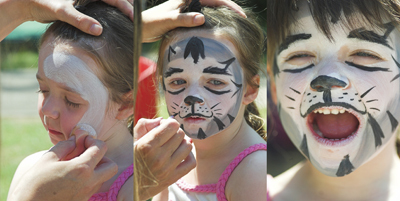 We have hundreds of great faces for all occasions. 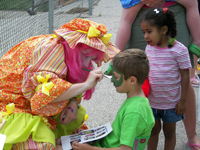 Add fun and excitement for children and adults alike to your Chicago area corporate events, picnics, festivals, grand openings, block parties, and private parties. Your guests can choose a face from a myriad of colorful designs including animals, cartoons, mythological characters, flowers and many more.